is branding consistency more important that branding quality? 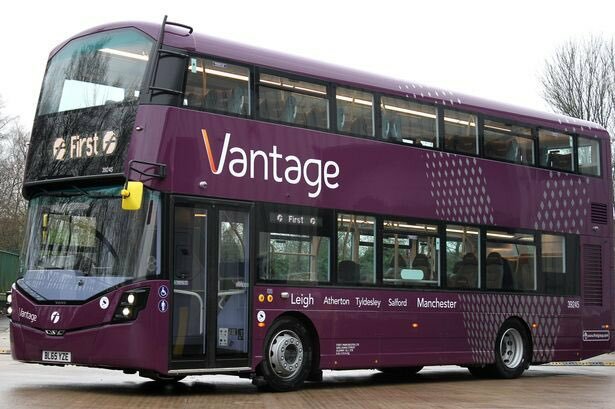 First in Manchester launched their new Vantage service at the start of this month, and there were a fair few on Twitter who were quick to express an opinion on the branding. Companies were keen to distance themselves from its design, while one individual told me it "looks bland, boring and like a typical bus to any unsuspecting passenger" and "there is just absolutely nothing about it exudes sophistication or makes you want to get on the bus!" Harsh words maybe, but those with an interest are always keen to have an opinion on something so subjective as design. For the record, some in mhd liked the simplicity of the livery; others sided with the bland comment above. No doubt if the designers had come up with something intricate and busy, opinion would have been just as split too. But what about those without an interest in what the externals look like? Those passengers who are probably more interested in where a bus goes and how often it does so, rather than what it looks like. In reality, only a minority of customers will be interested in the pure aesthetics of a rebranding exercise - the little touches of colour, text alignment with the body panels, font choice etc. The majority might not be, but that doesn't mean they can't be influenced by the consistency of what they are seeing. The part that design plays in making their experience a positive one - their journey of interacting with the brand through the look, feel, tone, language, positioning & execution. From the moment a customer sees an ad/tweet/poster through to the time spent browsing the website. Being able to find the information they require on fares, frequencies, and routes. Seeing a branded timetable on arrival at the stop, which is complimented by a matching bus flag. Then a fully liveried bus (ideally without external advertising) arriving, driven by a well-dressed, well-mannered driver. A friendly greeting on the cab door awaits, as does a series of cove panels (again, ideally without external advertising) reiterating why you have made the right choice today in travelling by this particular bus. Each service doesn't have to have groundbreaking creative but should have consistent, well thought out branding that aids the customer's journey and creates a perception of said company. Sometimes it seems that's too much to ask.